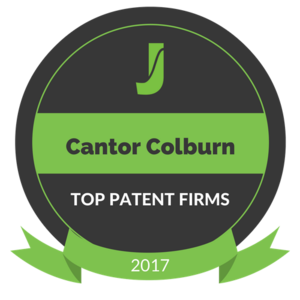 Cantor Colburn LLP is proud to announce that it has been named as a Top 100 Patent Firm in 2017 by Juristat, the patent data analytics company. Juristat evaluated law firms based on a weighted average of four key metrics, as measured from July 2014 to June 2015: total number of utility applications filed; allowance rate; average number of office actions to allowance; and average time of allowance. According to Juristat, Cantor Colburn ranked #5 for utility applications filed. The Juristat Top 100 is the only ranking of U.S. patent prosecution firms based on objective firm performance measurement.